Happy Monday! I'm SOOOOO excited! For this entire month of October, I'm celebrating my birthday by showcasing some of the wonderful scrappy friends that I have met. This has been a wonderful journey for me since I started blogging in June of last year. Who would have thought that I would meet so many wonderful people via the internet. Today, we have Sherry of Patterns by Sher. She's another wonderful friend that I have met online and cherish dearly. Here is her project and a bit about her. Enjoy her project. Be sure to stop by her blog, Patterns by Sher, and show her some love. I have been married for 20 years, and have 2 wonderful boys. We live in Michigan with our fur-babies, Smooch, Cookie, Lola and Gizmo. 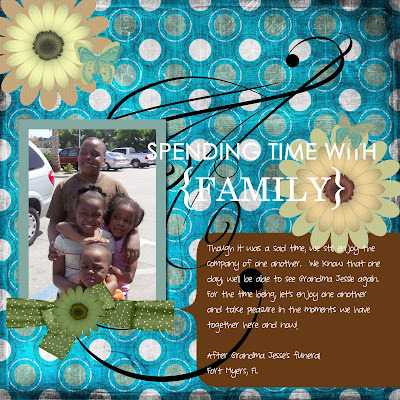 I love to make cards, and scrapbook in my free time. I am really big into entering challenges now. They give me a lot of fun ideas to try. My favorite things to scrapbook would be my family and pets. I enjoy making svg files, stamping, paper piecing, and designing card files. My favorite technique is heat embossing. I like how it raises the image up above the paper and helps me color within the lines. My personal blog is www.patternsbysher.blogspot.com stop by and see me some time. Hey Sherry... this is such a delight! What a gorgeous image! Awww...I love the little mouse!! What a sweet card!